HAAS/créa | Anyway Reps | NYC based Web & App developers. Node.js, React, iOS and Drupal specialists. The Anyway Reps. website features a fully customized CMS that enables the agents to present portfolios quickly and easily and in the most visually stunning way. Loosely based on bootstrap framework, the custom CMS take navigation and feature on step beyond responsive by allowing the end user to navigate and view content in a variety of innovative ways. Artists and content can be viewed by category, topic and in a number of easy to navigate presentation formats. 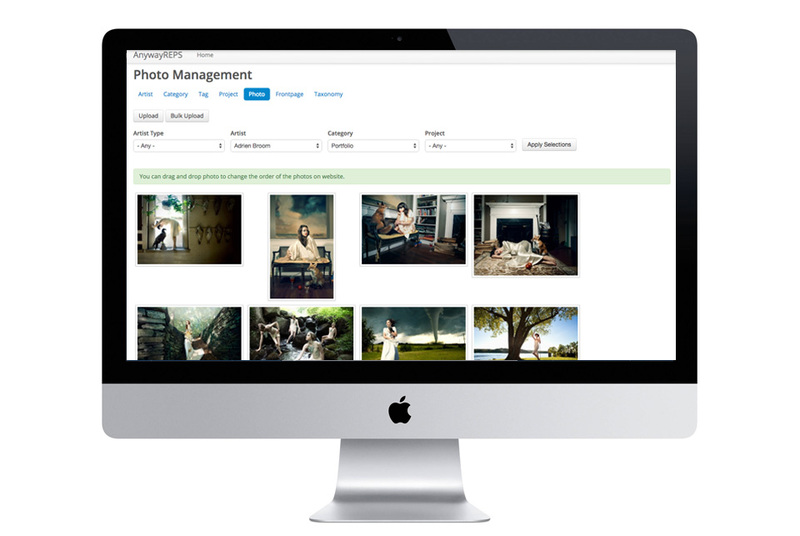 When an end user finds an artist that they would like to consider, the system supports emailing individual image comp cards as well as automatically generating PDF presentations for circulation to end clients of the advertising agencies that hire photographers and crews from Anyway Reps.